For a long time there everyone gave Keanu Reeves crap about his acting. After striking it big with the Bill and Ted movies and Point Break, Reeves tried to diversify, giving less-than-stellar performances in films like Much Ado About Nothing and Bram Stoker's Dracula. What these movies proved was that outside of this comfort zone, having to do things like put on accents and play in a period, Keanu just seemed lost. But then The MatrixA speculative future story with superhero and anime influences, The Matrix not only pushed viewers to think about the nature of their own reality but also expanded what filmmakers could do with action sequences and filming. It then launched a series of movies, games, and comics, creating a franchise still talked about today. came along and they showed that Keanu really was good at something: looking cool in suits while shooting guns. It has a clam, quiet presence that allows him to let loose with action in a way that always seems cool. Sure, maybe he can't act in all situations, and maybe his range is a tad limited at times, but when you put a gun in the man's hand he becomes to epitome of cool. 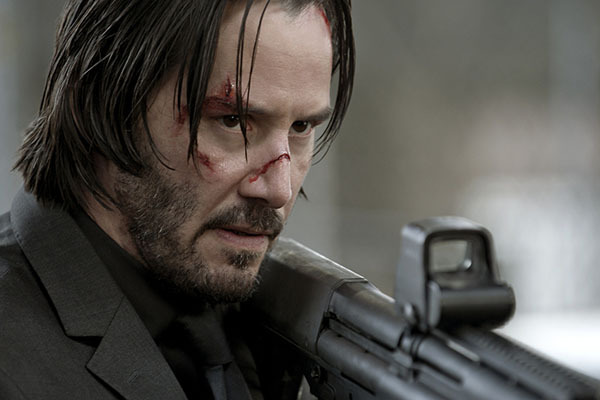 And that's the hook, really, of John Wick, Keanu's current starring-run of action movies. His character isn't really all that deep, and he doesn't have much in the way of emoting or lines, even, but when you put a gun in his hand and let him fly, the movie coalesces around the actor. The story of John Wick is sparse, to say the least. 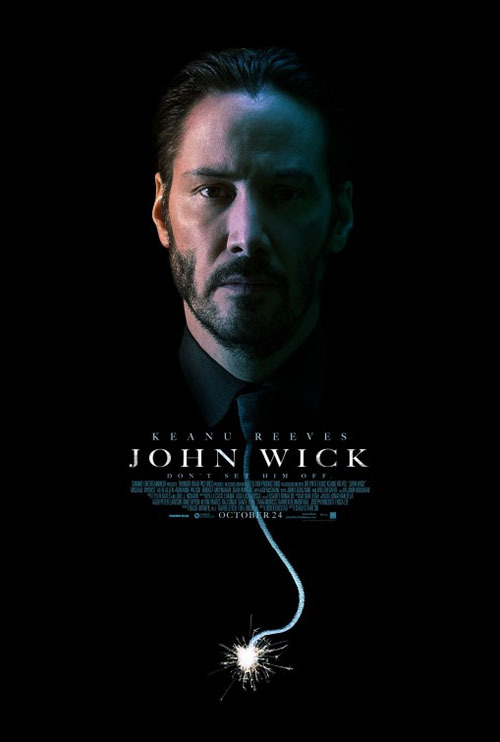 In the film our titular character, John Wick (Keanue Reeves), is a man grieving after the death of his wife (from cancer). As a parting gift for him, the wife had a puppy delivered -- she wanted him to have something in his life to care about and care for. Although reticent, Wick lets to dog in and starts taking care of it; it was a gift from his wife and, in a way, a gift for himself to start grieving and healing. And then everything goes to hell -- a gang of young mobsters see Mr. Wick driving around in his lovely '69 Mustang and decide to steal it for themselves. They break into his house late at night, beat him up, and kill his dog before making off with his car. They think their adventure is over but the trouble has only just begun. 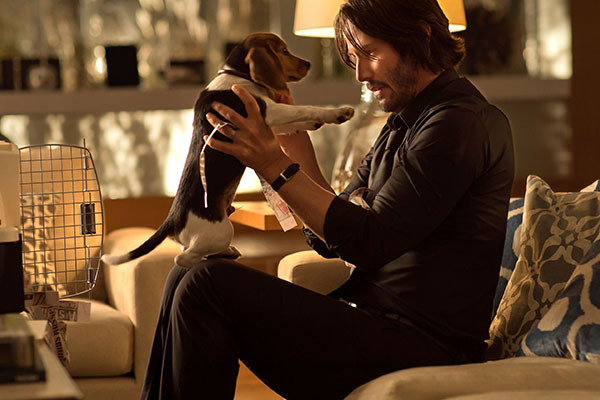 As we soon find out, John Wick isn't just any man. 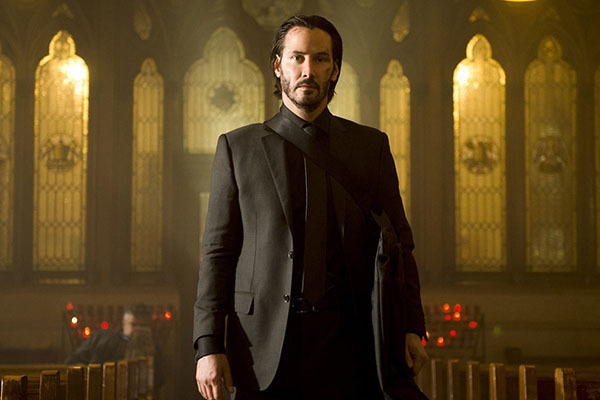 Before he retired John Wick was the "bogeyman", the guy you called in to do any task, to kill any person. If Death could have a persona it would be John Wick, and the young, idiotic gangster just woke him up. Now he's out for revenge, all for his dog, and he will cut a bloody swath across the whole city until he gets the justice he desires. None and nothing will stand in his way. That's a lot of story, and most of it is conveyed to us at the start of the film. Honestly, for the first few minutes it feels like a tell, not show, kind of storytelling as if they movie really want to try to sell us on the idea that Wick is a bad dude without ever giving us the goods. That falls away quickly, though, as John tears up his basement to dig down to the chest of items his buried. Then he puts on his suit, grabs his guns, and waits for the prey to come to him. From that point forward, about 15 minutes in, the movie never really stops, it just moves from one action set-piece to the next, breathlessly. For fans of action this is exactly the kind of movie you want because this flick absolutely delivers. There are any number of stand-out sequences, from the early gun fight between John and a band of assassins sent to kill him in his home, to a night club where John decimates most of the Russian mob in one long battle through three floors of neons, club music, and blood. There is never a point where John can breath easy because he's always on the move to his next target, his next move up the chain. Even when he does try to rest, assassins come for him ensuring he always has to fight, always has to be ready for battle. It's exhausting at times, but in the best way as it puts you in the mindset of the character, illustrating for you how ragged he feels by the end of it. 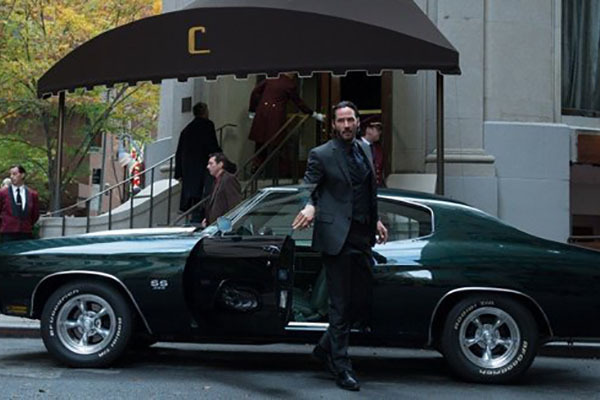 Outside the action the movie does a lot to develop the world of John Wick. He's not just one assassin working on his own (or, for the last five years, not working at all), but one of a member of a elite group who all operate by their own rules and code of conduct. There's an entire underworld operating in this movie, one we catch just enough glimpses of to be intrigued by it. This whole world is richly crafted just so we can see it on the fringes. The movie is all about Wick but there's a gorgeous mise en scene to the film, a lushness to the world building you don't often get in action flicks such as this. For some, the tightness of the story might be a turn off. There are so many things going on in the background, so much of this world left unexplored, that some viewers might wish the flick would just slow down and spend some time delving into all of it. That's not the point of John Wick, though. This movie is a relentless push, a quest for revenge writ large against city, and only one person is going to come out of it alive. 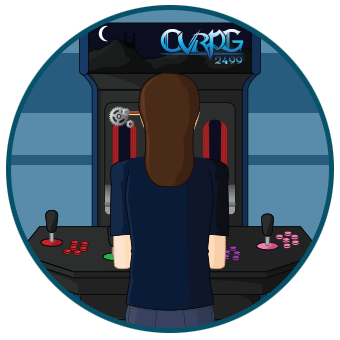 If constant action, with a fair bit of gore and violence is not your cup of tea, than know that going in right now. John Wick is not for you, it's for everyone else. It works because its a constant powerhouse action film. It works because it never lets up, never slows down, never once tries to question anything going on in the world around it. John has a mission, and his mission is all-consuming. And that works because it's anchored by Keanue Reeves, a man perfectly designed to play the cold, calculating, gun-wielding assassin at the core of this film. Maybe Keanu can't do accents, and pal around in period pieces, but if you want someone to play a dark, driven, and above all emotionally blank killer, Keanu is just the man for the job. He's fantastic in this brooding, vengeful film. In the wake of John Wick's success, a number of other films came out to try and capitalize on its success. In much the same way that Taken lead to a bunch of clones of that movie (mostly starring Liam Neeson), so too did John Wick gets it's clones. Films like Hotel Artemis and Polar tried to spin similar tales of a world of assassins, but few have managed to find the magic of this original. Maybe that's because they spend a lot more time on setting and story, but I like to think it's because those films don't feature Keanue Reeves. This is his kind of film and he's the only one that can do it right.